Paul Pogba believes Manchester United deserved their 3-2 defeat to Brighton and Hove Albion on Sunday and warns they must learn a "big lesson" from their performance. First-half goals from Glenn Murray, Shane Duffy and Pascal Gross gave Chris Hughton's side a third league victory in a row at home to United, who got on the scoresheet through Romelu Lukaku and a late Pogba penalty. 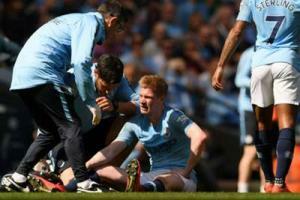 The defeat came just hours after Premier League champions Manchester City thrashed Huddersfield Town 6-1, and leaves Jose Mourinho's side with ground to make up on their neighbours just two games into the new season. And Pogba admits they cannot allow a repeat of their display and attitude, with Tottenham due to visit Old Trafford a week on Monday. "I'm disappointed, with my performance and the team performance. We didn’t deserve to win," he told BBC Sport. "I always try, I know I lost a lot of balls and that shouldn't happen for a midfielder, but I try, I keep pushing, that's my personality. "When it's not your day, it's not you day, but I kept trying to help the team as much as possible. We scored at the end, it was a bit too late to come back, and it's going to be a big lesson for us in the next game. We cannot make the same mistakes we did, with the attitude we had. "They prepared very well, maybe much better than us. Maybe we didn't have attitude to break them, to kill them when we had to kill them, to go through the lines, and that's a lesson we have to keep in mind and play much better next game. "I'm honest. If we deserve to win, if we play well, I will say we played well. Today, the truth is we didn't play well enough. You can see the result – we lost. "The result is the right result for them and the wrong result for us." 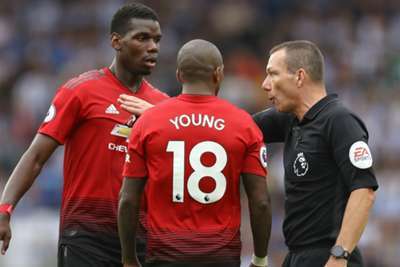 Pogba delivered a man-of-the-match display in the win over Leicester City at Old Trafford last weekend, and he concedes United's attitude was different against Brighton. "Playing at home and playing away is two different games, different tactics," he told Sky Sports. "You always have to be focused and play better than the last game. The attitude has to be right and I think maybe we missed that. "The attitude we had was not like we wanted to beat them. They had more hunger than us. I put myself first, my attitude wasn't right enough. We keep trying and pushing, and it is going to be a big lesson for us." When asked what Mourinho's instructions were at half-time, with United facing a 3-1 deficit, Pogba refused to divulge his manager's plans. "I think you should ask him. I don't like to speak for other people," he said.